Racebred engineering in a luxury sedan. Since 1963. Two remarkable engines. And a world of opportunities for the entrepreneurial connoisseur. In the new Quattroporte, Maserati has created a unique and exclusive car, designed for the discerning tastes of entrepreneurial pioneers and business trailblazers – high achievers who relish the unconventional and avant-garde. Naturally, for such a demanding clientele, the Quattroporte is available in a number of different guises and with two inspirational engines. 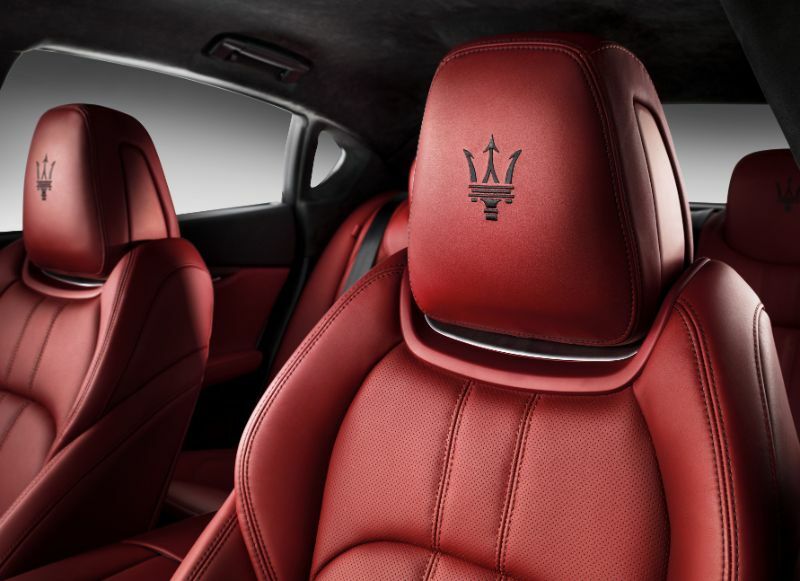 To ensure the comfort of its distinguished guests, the Quattroporte wants for nothing, and in terms of materials and equipment only the best will do: premium Italian leathers, fine woods, handcrafted stitching, the very latest in high-tech instrumentation and, with the GranLusso trim, exclusive silk interiors developed by Ermenegildo Zegna and Maserati. The sensation of wellbeing begins with the 12-way power adjustable leather front seats that ensure the perfect driving position. 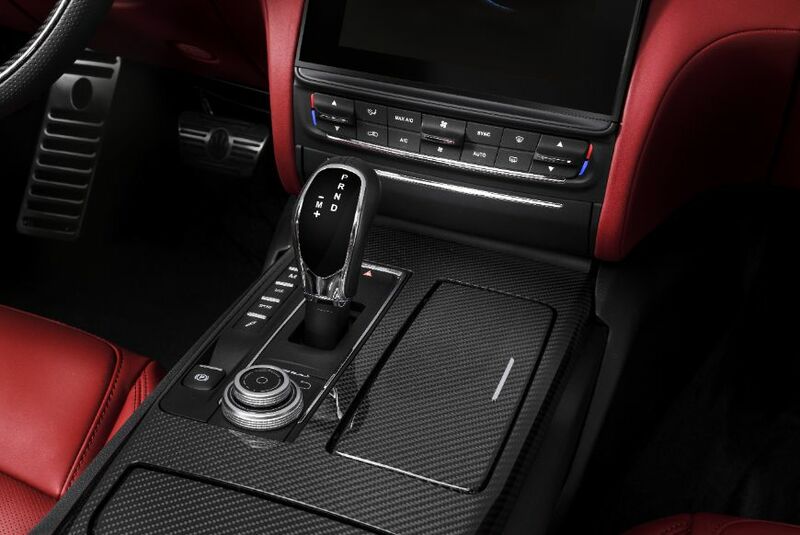 Ahead of the driver, on the central console, there is the very latest touch-screen infotainment system with an additional rotary control, along with a handy new phone storage box. Meanwhile, the multifunction steering wheel is a model of ergonomic efficiency and provides a highly tactile grip. Equal attention has been focused on the occupants of the rear seats, as well. 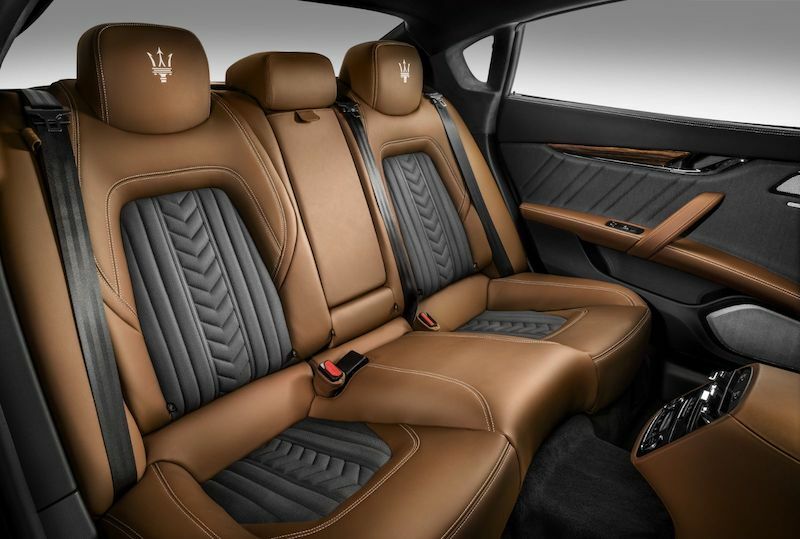 The standard Quattroporte comes with a supremely comfortable, asymmetrically folding, hand-stitched leather rear bench seat for three people, complete with a central armrest that contains a USB point and a 12V socket. The overall spaciousness of the Quattroporte is enhanced by the sleek lines of the broad dashboard, its central tunnel, and its large doors, so that all onboard are enveloped in an atmosphere of complete luxury. 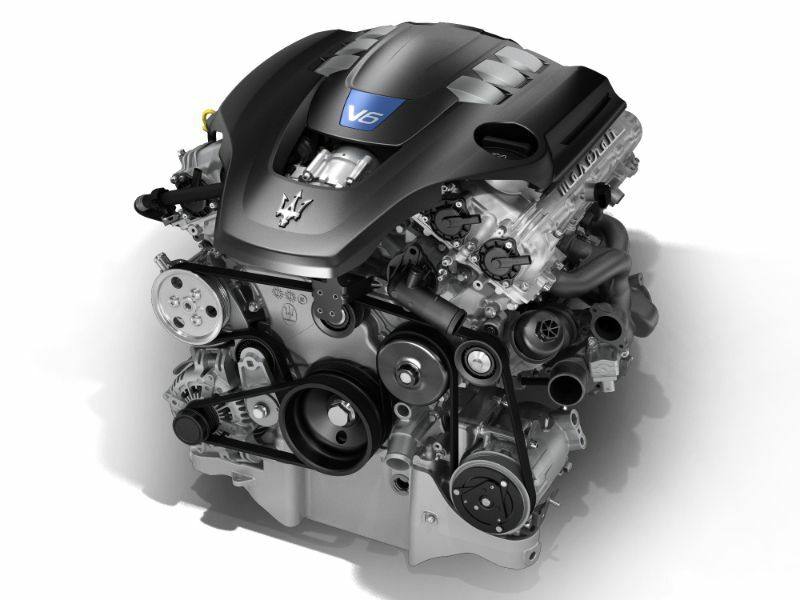 The Quattroporte comes with a choice of two mighty engines: the 410 HP 3-litre Twin Turbo V6 and the 530 HP 3.8 litre Twin Turbo V8. The sophisticated design of the eight-speed ZF automatic gearbox ensures precise gearchanges and exceptional performance, and comfortably manages the prodigious power of the different engines. Mounted behind the engine, it is assisted by auto-adaptive software that is able to recognise the way the car is being driven, and modifies the shifting pattern for each individual driver. There are five operating modes, selected using the buttons near the gear lever: Auto Normal, Auto Sport, Manual Normal, Manual Sport, and Increased Control & Efficiency (I.C.E) for a better control in any weather conditions and the most comfortable and quietest engine response, along with minimal fuel consumption. Upshifts are all automatic unless a manual mode is selected. 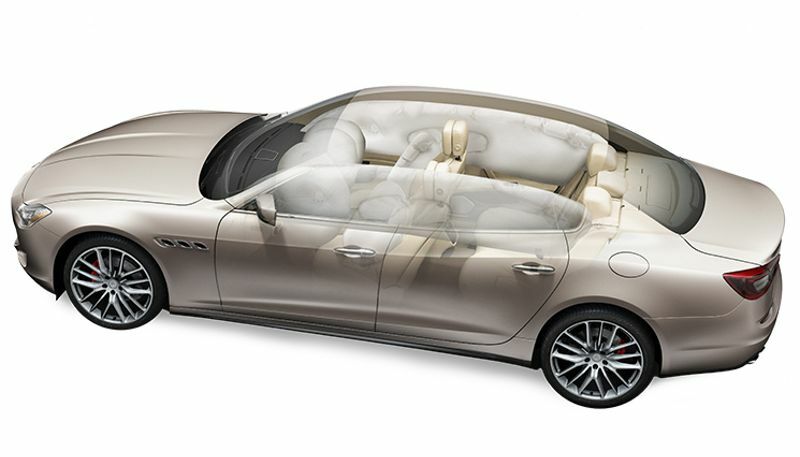 In designing the Quattroporte, Maserati made safety the number one priority. 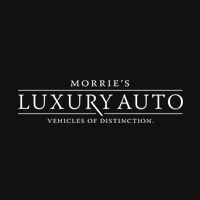 To provide the best possible protection for its occupants it features the latest-generation airbags and numerous state-of-the-art safety systems and devices.